This shows a small portion of the great Orion Nebula. My inspiration came from the jacket cover of the book Hubble Imaging Space and Time. It is painted with acrylics on a wood panel and covered in high gloss. 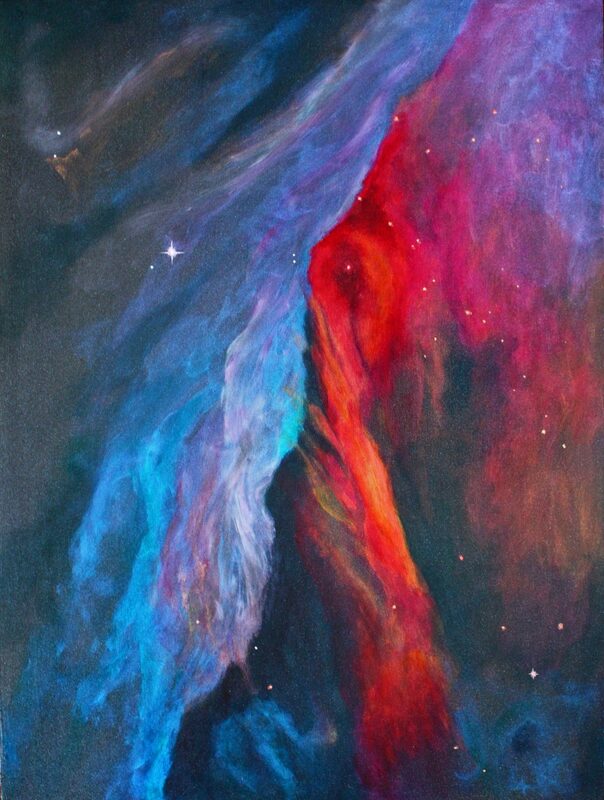 It is one of my first space paintings and the beginning of my deep appreciation of space exploration. For me painting this way is a bridge between abstraction and realism. These are real heavenly bodies that present as beautiful abstracts.